Updated Tuesday March 5, 2019 by Habersham Little League. 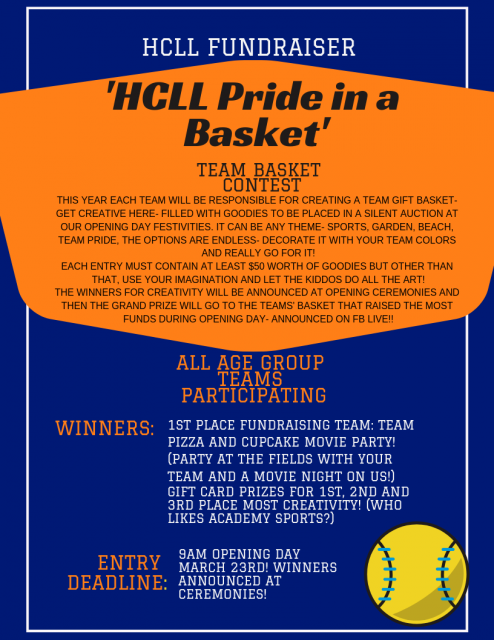 All teams will be building baskets that show just how awesome they are and how much they love HCLL. They will be colorful and stocked with goodies all to be placed at the Silent Auction held on Opening Day! The prizes for each winning team are pretty awesome so be sure to come on out on March 23rd for Opening Day and bid to take home your favorite basket from your favorite team! !